Complete Automotive Solutions provides just about every detailing service you would ever need; no longer are you stuck with those large national chain detailing companies that can provide a basic cleaning but cannot provide the personalized attention of a local company dedicated to your community. We detail all kinds of vehicles; whether it be your family transporter, or your prized summer sports car, or maybe your corporate fleet vehicles, appearance says a lot. 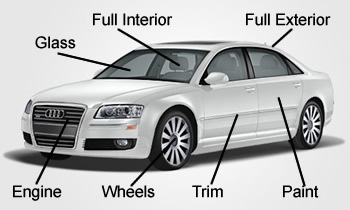 Check out our complete line of priced right Detailing packages and customer services available.